PRICE REDUCED!!!! Welcome Home! This beautiful home sits on a hill, on an over half acre cul-de-sac lot. There is plenty of space for everyone in this split bedroom plan. The kitchen is the heart of this home! It features plenty of storage space, a wonderful breakfast bar and opens to the family room, so its an excellent space for gathering with friends and family while you watch the big game or host family game night. The Master Bedroom is large and the master bath features dual sinks, a beautiful garden tub, perfect to soak the stress of the day away, and a separate shower. There is also a large walk in closet. The additional bedrooms are nice sized and the home has an interior laundry room off the garage. But why limit yourself to just the inside?! This lot is over 1/2 an acre in size and there is plenty of room for a future pool, extended patio, or a fun game of soccer! 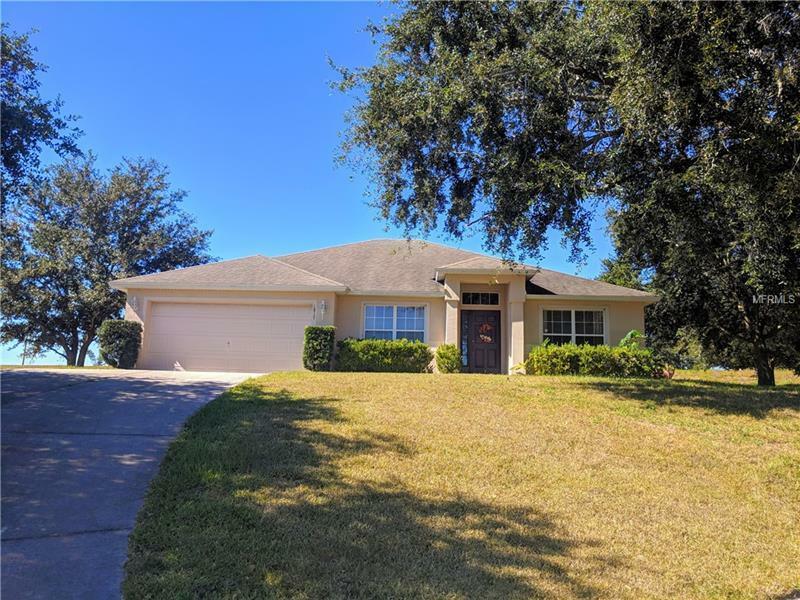 This home is located close to the FL Turnpike exchange and near shopping and restaurants. Schedule your showing soon as this one wont last long!